A New Elysian Chronicles Short Story is About to Debut in Dark Oak’s Realms of Imagination! If you are waiting for The Elysian Chronicles: Book III, you need to read “The White Rider!” It takes place between “The White Rider,” takes place between Out of the Shadows and Book III, and it’s about to be published in the Realms of Imagination urban fantasy anthology edited by Kimberly Richardson and published by Dark Oak Press and Media! It reveals a new group of enemies of both Davian and Tom most Elysian Chronicles readers will not expect. It foreshadows some of the twists and turns that will make Tom’s task in Book III next to impossible. It shows a little bit more of Jacobi, who so far within the series has stayed in the shadows, literally. It introduces a brand new character who will play an important role in The Elysian Chronicles Book III. 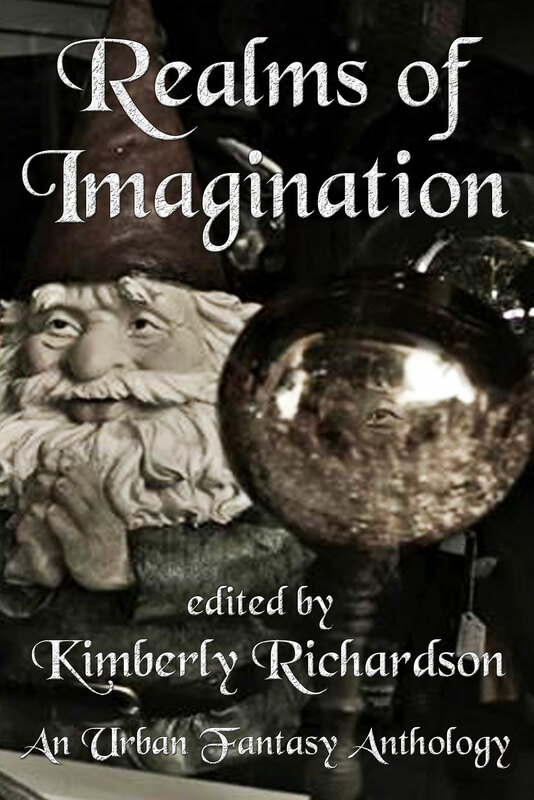 Other authors included in this anthology are Gail Z. Martin, David B. Coe, and John Hartness. Be sure to stay tuned to the website, M. B. Weston’s Facebook profile, and Twitter Feed for news of its debut! Be sure to join in the discussion at M. B. Weston’s Treetop Inn group on Facebook! This entry was posted in Books & Works by M. B. Weston, News & Events, Short Stories & Other Writings, The Elysian Chronicles and tagged angel, author, Dark Oak Press, David B Coe, Elysian Chronicles, fantasy, Gail Z Martin, guardian angel, John Hartness, Kimberly Richardson, M. B. Weston, movies, paranormal, radio, Realms of Imagination, steampunk, Treetop Inn, urban fantasy, warfare. Bookmark the permalink.